Philadelphia, PA – February 15, 2018. Crown Food Europe, a business unit of Crown Holdings, Inc. (NYSE: CCK) (Crown) (www.crowncork.com), has introduced a comprehensive service package for food manufacturers. The package includes the sale of its high-performance capping technology, ancillary components and expert technical support for the machine’s service life. The package, which replaces the company’s previous model of leasing equipment, enables brand owners to benefit from a lower total cost of ownership (TCO) since they own their systems outright and gives them access to high quality aftercare by Crown’s experienced technicians, helping minimize unnecessary maintenance and downtime. Crown’s experts also provide upfront support by recommending specifications for the closures to be capped by the machine, helping to reduce the risk of poor quality cap seals or breakages, decreasing waste. They can also advise on the positioning and layout of new production lines to optimize line efficiency. The Smart Capper™ is tailored to lower-speed production lines, providing a throughput rate of up to 150 caps per minute, making it ideal for smaller food producers or lines with limited product runs. With a throughput rate of 300 caps per minute, the Euro Capper™ has been designed for medium-speed production lines, making it suitable for mid-sized manufacturers. For large volume producers, the Global Capper™ can operate at high speeds, with a throughput of up to 800 caps per minute. All three systems are compatible with Crown’s closures portfolio, including the company’s revolutionary Orbit® Closure that is twice as easy to open as standard twist-off caps. Each system features stainless steel construction and hygienic design, making them simple to clean. They enable quick cap changeovers between product runs and offer easy access to replace components, minimizing downtime. Crown can also customize the machines to fit into smaller footprints or to suit manufacturers’ individual production line needs. 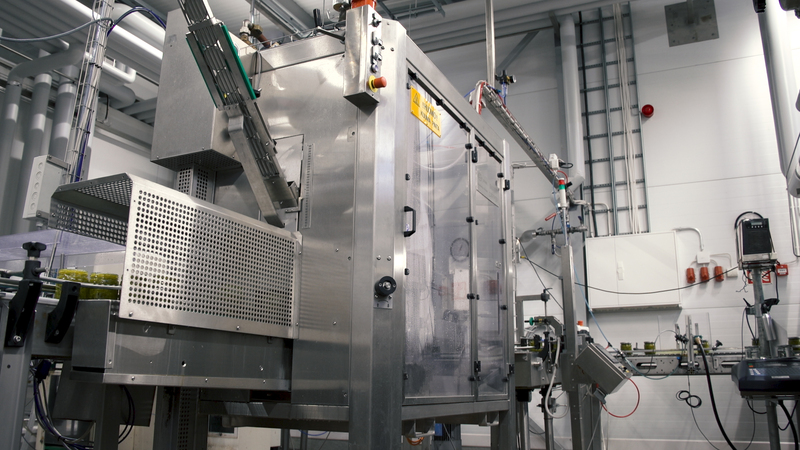 Finland-based food producer, Herkkumaa Oy Ltd, recently invested in a new Crown capping system. Speaking about the purchase, Atte Rekola, Managing Director, explained: “When looking for new machinery to cap our jams, marmalades and vegetable conserves, we explored a number of options before making a decision. We own the rest of the equipment on our line, so it was important for us to purchase rather than lease our capping systems. To find out more about Crown’s capping solutions and aftercare package, watch the Smart Capper™ and the Euro Capper™ videos. For editorial inquiries: Maria Ciubotaru, Associate Vice President, ABI, a Finn Partners Company; Tel: +44 207 014 33 19; Email: maria.ciubotaru@finnpartners.com.